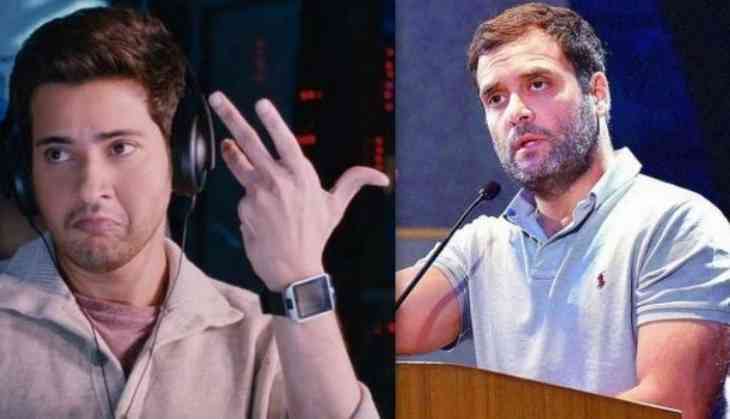 Home » Regional Cinema » Mahesh Babu hires Rahul Gandhi's social media team, but why? Telugu superstar Mahesh Babu is currently going through one of the toughest phases of his acting career. The actor's last two film Brahmotsavam and SPYder turned out to be failures at the Box Office. In fact, his September release SPYder emerged as one of the biggest disasters of South film industry. Though Mahesh Babu has been criticised for his story selection, many of his friends stated that it's the 'negative talk' on social media that worked against the film. However, according to Telugu media reports, Mahesh Babu is said to have come with interesting measures to check the negative talk on social media. There are reports that Mahesh Babu's wife and actress Namratha is keen on building a strong social networking base apart from her husband's Twitter and Facebook pages. A social media page called MB Official Team/Team Mahesh Babu has already started appearing on Facebook, Twitter and on Instagram. Namratha already hired a strong social media team including SEO experts and digital media team to manage the new official social networking accounts. A top digital team known for handling Congress vice-president Rahul Gandhi's Twitter page is reportedly helping to set up the social network for the Tollywood Prince.